The first railroad in Russia appeared in 1837, linking St. Petersburg and Tsarskoe Selo, which was the Romanov family's residence outside the Imperial capital. 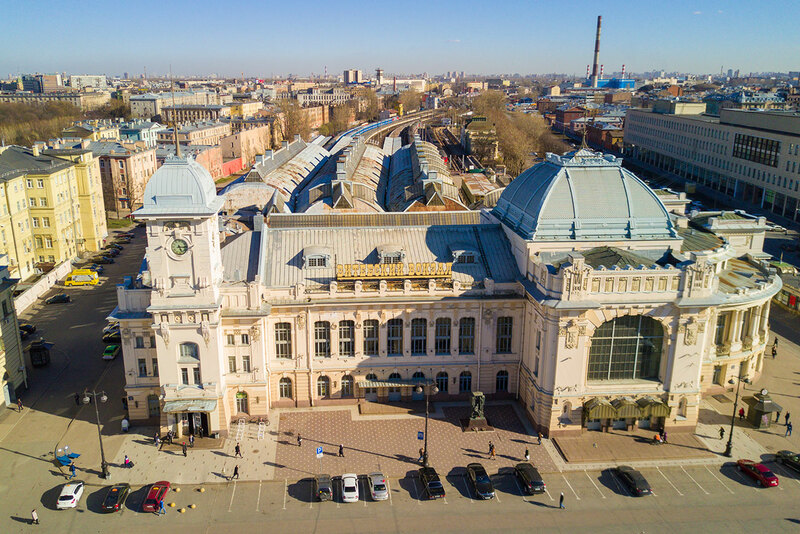 Architect Konstantin Thon built the Tsarskoselsky Station, which was Russia’s first railway station, and which since 1936 has been called Vitebsky Station. Maybe you’re the expert traveler to Russia and 'tired' of all those St. Petersburg palaces and embankments. 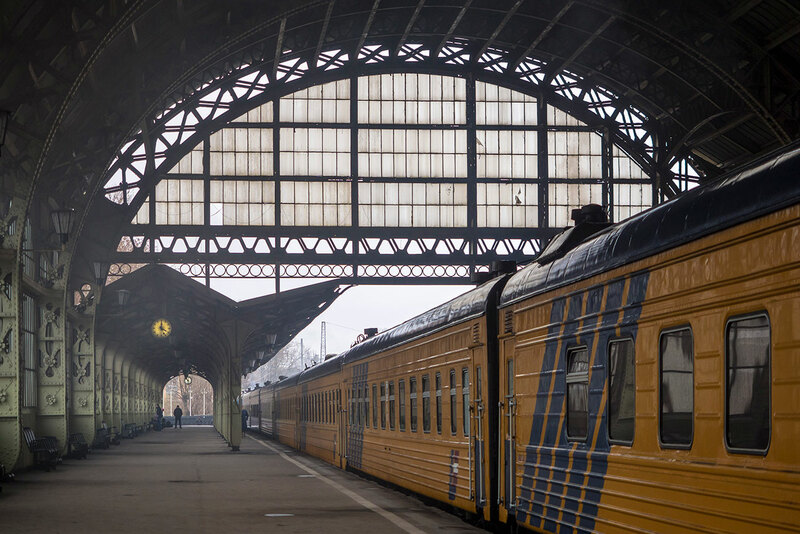 Well, if you’ve already seen the classic St. Petersburg sights then take a stroll around Vitebsky railway station. This Art Nouveau architectural gem was built in the early 20th century and is a window into the bygone splendor of Imperial Russia. 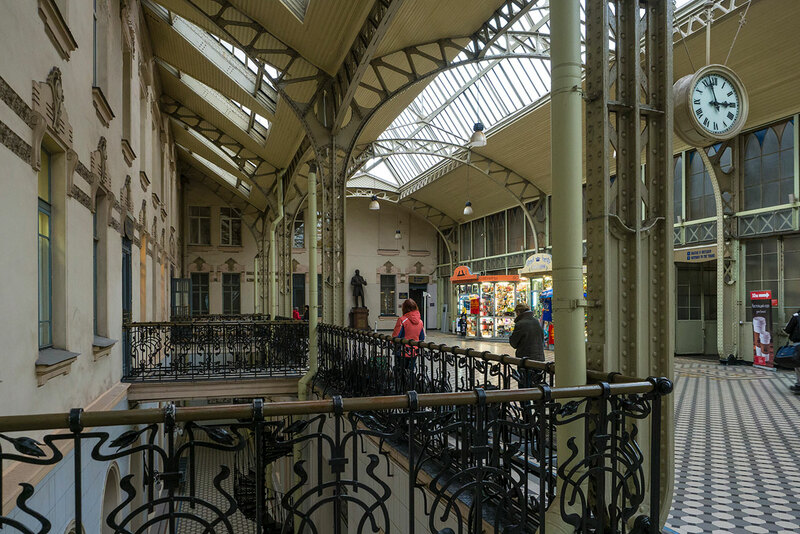 In 1904, a new station was built in the Art Nouveau style, its decor distinguished by the dominance of curved lines, ornament that was inspired by plants, elegant female heads and a lack of symmetry. The distinctive feature of Art Nouveau architecture is spaces flowing into one another, caused by the abundance of light and enormous stained-glass windows. 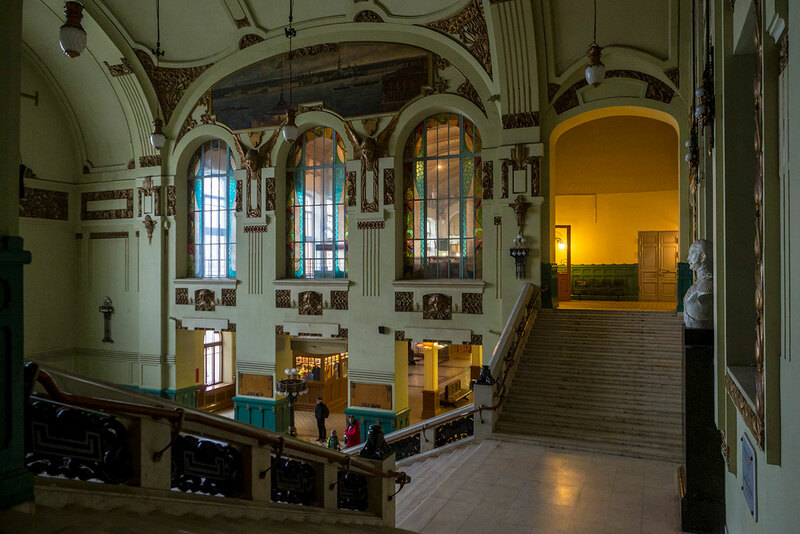 For this very reason, the railway station's hall is today often used for wedding photos. 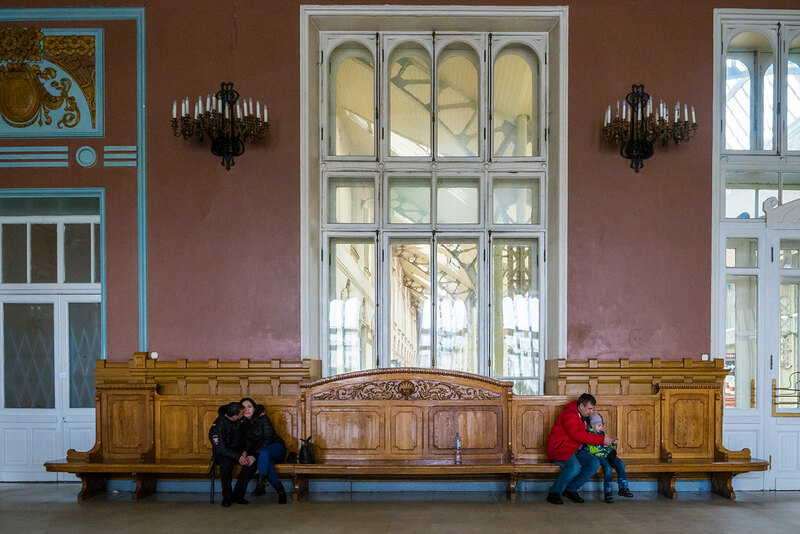 The first- and second-class waiting room is often described as the Picture Hall because it’s decorated with wall paintings, large mirrors and painted panels that chronicle the history of the Tsarskoselsky railroad. From time to time, musical concerts are held here. Nowadays, passengers only use the third-class waiting room. In the past, it was possible to get to the restaurant through an arch in the Picture Hall. At present the passage is walled up while the restaurant undergoes restoration. 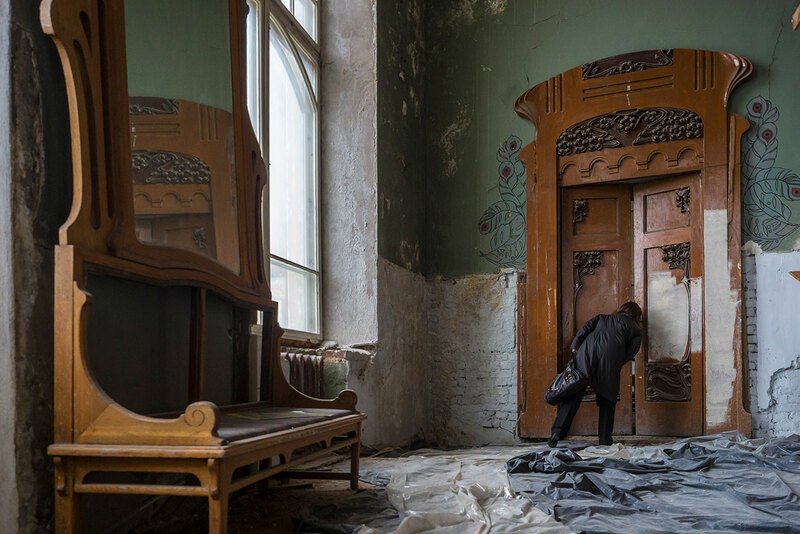 Miraculously, an early 20th century wooden sideboard, fragments of wall paintings, mirror frames and doors in the Art Nouveau style survive to this day. "Props used in the shooting of Karen Shakhnazarov's new film, Anna Karenina, are still found in the restaurant. It was made in 2015," said guide and historian Marina Zubkova. Film directors Sergei Solovyov and Bernard Rose also shot their film versions of the Leo Tolstoy novel on Vitebsky’s platforms, with Tatyana Drubich as Anna Karenina in the former, and Sophie Marceau in the latter. 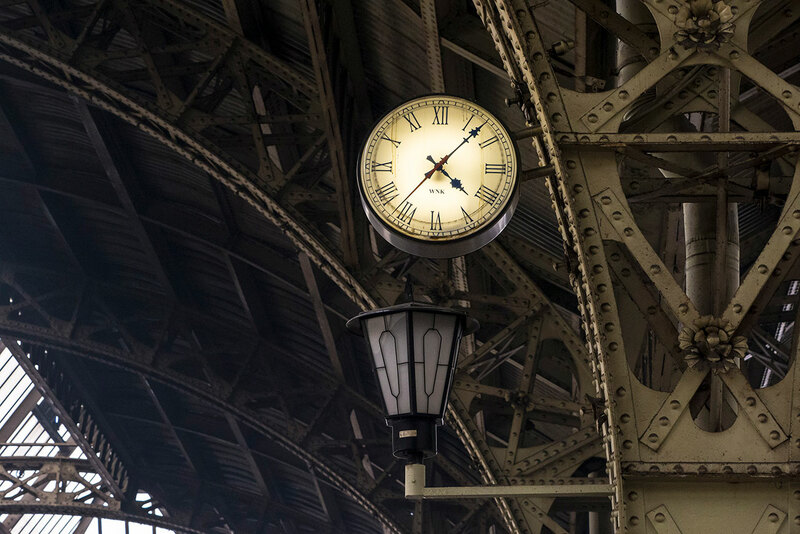 Danila Bagrov, the protagonist of the cult movie hit, Brat (Brother), was also shown arriving at the station, and in the Soviet version of The Adventures of Sherlock Holmes and Dr. Watson Vitebsky Station was transformed into London’s Victoria Station. For the most distinguished passengers there was a "Grand Duke Suite" at the station, which is now the station director's office. Despite the name, grand dukes never stayed there. 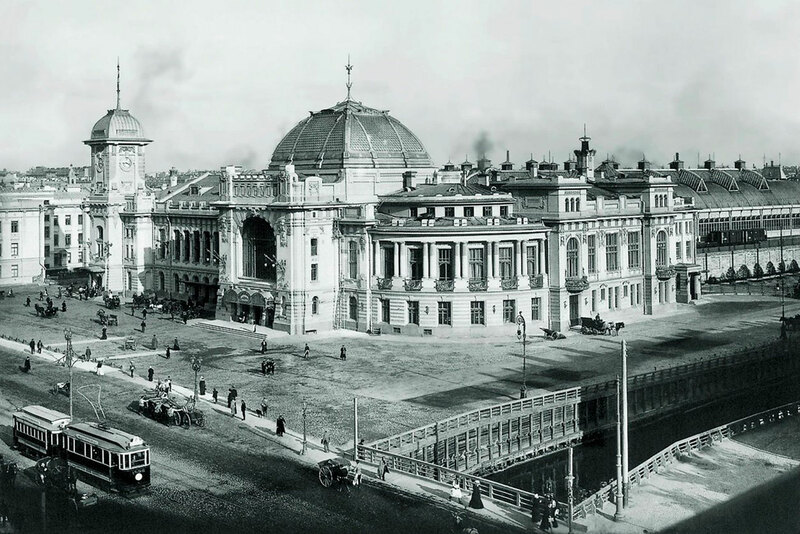 The name was inherited from the previous building, which had a "Grand Duke Suite" for the Emperor and his entourage.// Pictured: The railway station in the 1900s. A separate pavilion was built in 1900-1901 for the Imperial Family in a new complex. There’s a city legend that a courtier of Nicholas II, Commander of the Palace Vladimir Voyeikov, always arrived five minutes before the Tsar in order to open the pavilion and to prepare everything for the journey. But one day he arrived and saw that the doors had already been opened and the Tsar and his daughters were already standing on the platform. Voyeikov braced himself to be told off but mild-mannered Nicholas, seeing the fear in the commander's eyes, said the latter was not to blame because he, the Tsar, arrived 15 minutes earlier than expected. Pre-revolutionary stained-glass windows, cast-iron tracery arches and old German floor tiles by Villeroy & Boch survive to this day in the Light Hall (between the waiting rooms and the exit to the platform). In 2007, a monument was unveiled to Austrian engineer Franz Anton von Gerstner, who built the first railway line. It’s he who persuaded not just Nicholas I but also his advisers that Russia needed railroads. Nevertheless, during construction the railroad was still looked upon skeptically by many people, and it was only built with the Emperor's permission but with private money. Could Gerstner have imagined that, following the opening in 1916 of the Trans-Siberian Railway, Russia would have the world’s largest railway empire? In no other country were railway lines longer, or traffic more intensive. 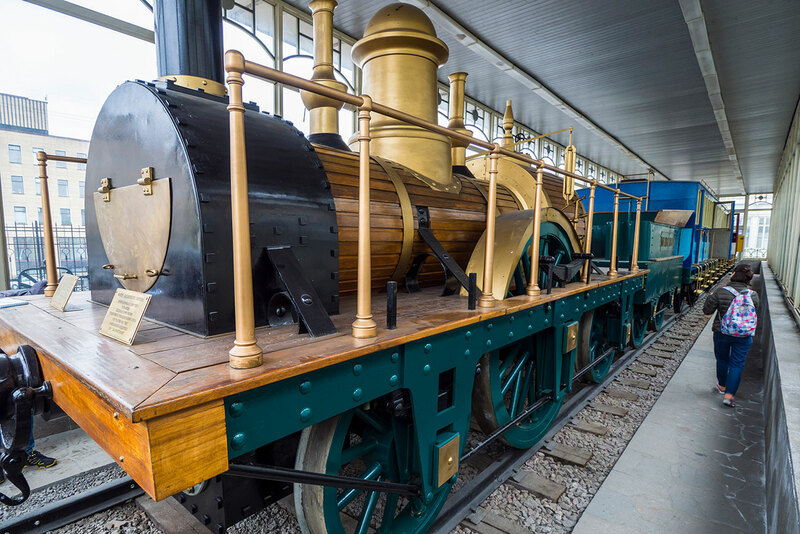 A replica of the first train of the Tsarskoselsky railroad can be seen in a separate pavilion at the station. The locomotives were built in Britain, at the Robert Stephenson and Company plant in Newcastle-upon-Tyne. There are guided tours at Vitebsky, but only in Russian. During one such tour we met Nienke van Poelje from the Netherlands who is studying Russian. “I’m really interested in everything to do with Russia that is NOT touristic. I love to mingle with Russians and see things beyond Red Square and the Hermitage. For me, a train station is usually a place I rush to, to catch the train. You never have time to actually look at the building or at the ceiling!”RBTH expresses its thanks to the educational organization, "St. Petersburg through the eyes of an engineer," for their help in writing this article.